The Special Duties Office in the Office of the Secretary to the Government of the Federation Organized a two (2) day Stakeholders’ Interactive Forum with Ministries, Departments and Agencies (MDAs), on the implementation of the 2018 Zonal Intervention/Constituency Projects held at Merit House, Aguiyi Ironsi Street, Maitama, Abuja from 27th - 28th March, 2019. 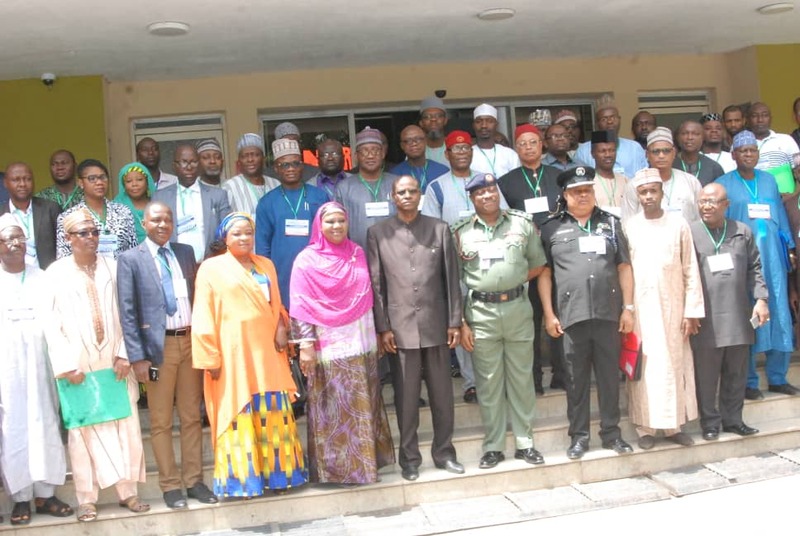 The main objective of the two-day Stakeholders’ Forum was for the participants to brainstorm and cross fertilize ideas on the critical roles expected of them in actualizing the successful implementation of Zonal Intervention/Constituency projects across the country. The Forum was declared open by the Secretary to the Government of the Federation, Mr. Boss Mustapha ably represented by the Permanent Secretary (Special Services Office) OSGF, Dr. Mrs. Amina M. Bello Shamaki mni. She reiterated the need for the Forum to brainstorm and come up with suggestion to Government on the way forward, towards making the Zonal Intervention/Constituency Projects as a medium for alleviating poverty as well as delivering dividends of democracy and forestalling electoral malpractices through vote buying. In his welcome address, Engr. Festus Y. N. Daudu, the Permanent Secretary (Special Duties Office) recalled the goals and objectives of Constituency Projects and its relevance to the grassroots development and the role of SDO in ensuring effective and efficient implementation of the projects to actualize value for money through appropriate and accountable monitoring and evaluation. Several goodwill messages from Stakeholders’ and Special Guests of honour dwelled specifically on the importance of Zonal Intervention/Constituency Projects and the need to improve project conceptualization, initiation, implementation and monitoring to ensure cost benefits meets the targets and objectives of Federal Government Policies and Programmes towards actualization of the “Next Level Agenda”. (ix) The Forum also reiterated that report of Monitoring and Evaluation should be made available in the public domain and also copied to the Office of the Accountant General of the Federation. Dated this 28th day of March, 2019 At Abuja.